Deep and Noble, show the elegance of a true Rioja. 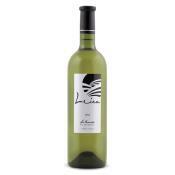 Intense aromas of 30 months in Oak, its silkiness and intense mature fruit praise your palate. Great with lamb, fish and smoked cured cheeses. A pristine dark ruby red, with the classic Reserva characters of firm body and smoothly polished tannins. Smooth elegance of fruit and spice with a lovely long finish. A Bordeaux style blend with a twist: 33% Petit Verdot, 14% Merlot,44% Cabernet Sauvignon 11 % merlot and 4% Graciano. Beautiful red ruby color. 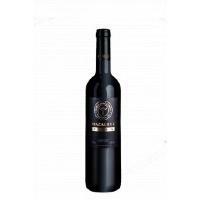 A full bodied wine exhibiting rich aromas with hints of coffee against a background of blackberry.